With Roe at stake, I'm going home to expand access. "If a mother is in labor, I can tell you exactly what would happen. The infant would be delivered. The infant would be kept comfortable. The infant would be resuscitated if that's what the mother and the family desired. And then a discussion would ensue between the physicians and the mother. So I think this was really blown out of proportion," Northam said during a radio interview. Don't worry - if we miss on the first try we'll certainly get them on the second, Dr. Mengele. The governor of Virginia - a pediatrician, by the way - advocates murdering children after delivery and he thinks everyone else is blowing it out of proportion. During his campaign, Northam supported "high quality, affordable health care for all Americans." I don't usually think of killing a live human post-birth as "health care," but I'm not angling to direct the next "Faces of Death" movie the way Northam apparently is. Northam gave a specific reason for committing this sort of murder - "severe deformities." Everyone should watch his interview and demand answers from every Democratic candidate they meet. Do you believe in slaughtering children post-birth because of deformities? It's a simple yes or no question. Don't let them off the hook in Iowa, New Hampshire or your state capitol. "This evening is sweet," Cuomo exclaimed before enraptured liberal supporters, "because we won!" Cuomo even ordered the spire atop One World Trade Center to be lit pink to celebrate. A place built to remember the thousands of innocent lives lost on 9/11 became a monument to the slaughter of thousands of innocent babies. But there was cheering - sweet, sweet cheering - this week for a 2017 speech made by a man named Frank Stephens. His congressional testimony recirculated on social media at a time when our nation needs a reminder that all life is precious. "I am a man with Down syndrome, and my life is worth living," Stephens said. "Politicians change laws; I want to change people's hearts." Stephens added: "Is there really no place for us in the world?" History will remember Northam as the disgraced Democrat who wore blackface, maybe a Ku Klux Klan robe, and nearly "moonwalked" at a news conference to explain why. 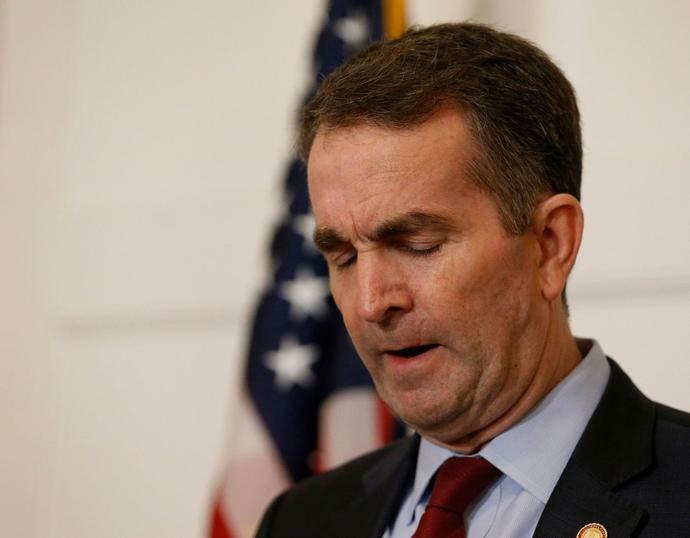 I'll remember Northam for calmly calling for infanticide - exposing the darkest part of the American left's radical abortion agenda - before the universe delivered his much-deserved comeuppance.